Looking for some gift tags for the holidays? Here is my new collection of gift tags for Christmas, New Year, Thanksgiving, or any other winter celebrations coming up. Dealing with two languages is a challenge for anybody. 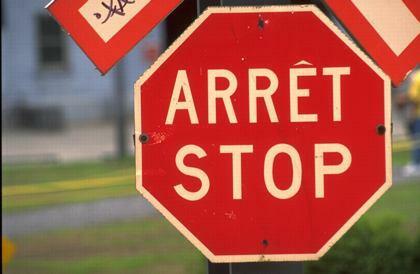 And making road signs in two languages is no different. I have a thing for bilingual signs (road signs, shop signs, etc). They clearly send the message to people that languages are important. However, they are not usually great examples of typography. They tend to be pretty boring.